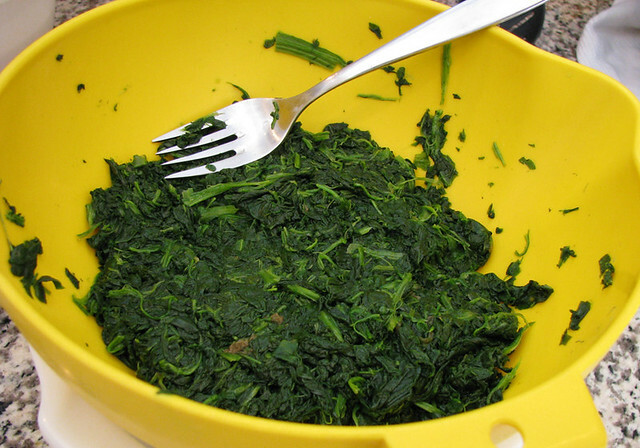 NOTE #1: You might be tempted to use fresh spinach in this recipe, but we have found that the frozen variety works MUCH better. 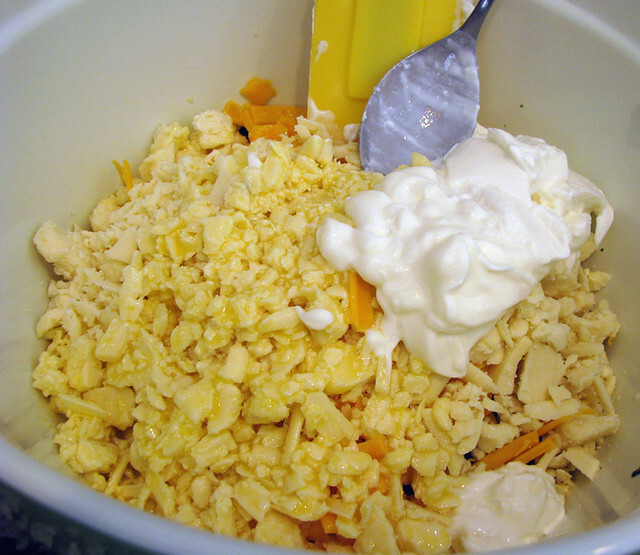 Shred both the Cougar Gold (which you might just have to crumble instead) and the cheddar cheese. NOTE #2: While you can use another type of aged white cheddar cheese, we highly recommend using Cougar Gold for this dish. It’s unique flavor adds the right amount of zing to the taste of this soufflé. 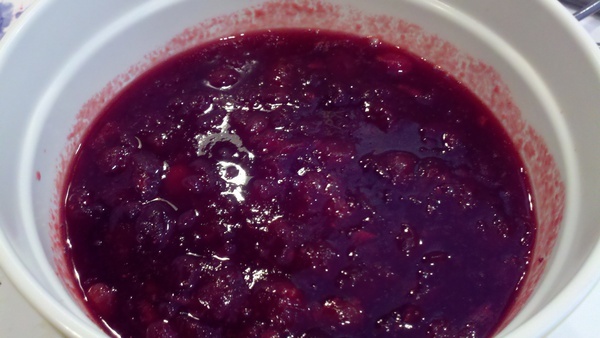 Plus, you can use whatever you have leftover for Stuffed Pork Loin, fondue, cheese puffs, or just served with crackers and grapes … Mmmmm MMMMMMM! Also, you might want to shred some extra cheese if your brood is anything like the ingredient-stealing, cheese-munching Caveclan. 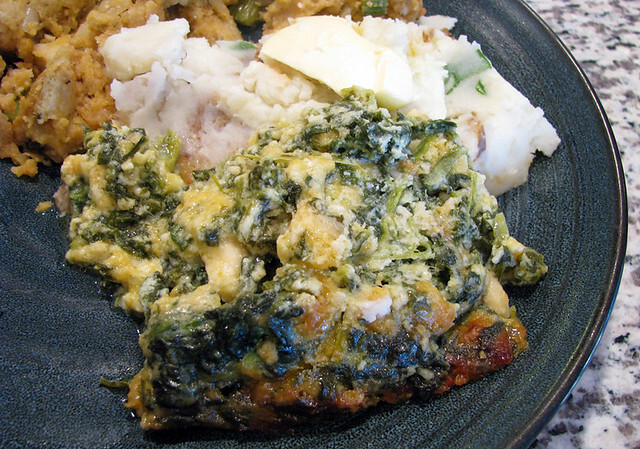 Place spinach, shredded cheeses, and sour cream into a large mixing bowl and set aside. 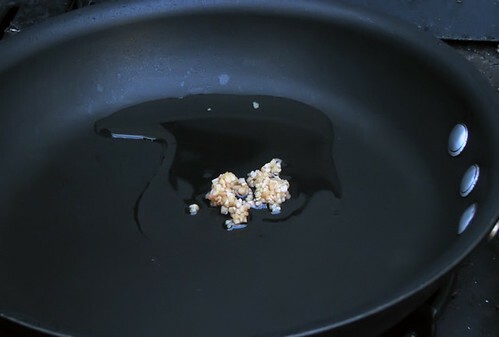 In a medium sized sauce pan over a medium-low flame, melt the butter then whisk in the flour. Yes, this is a “roux”. Now, slowly whisk in the milk. 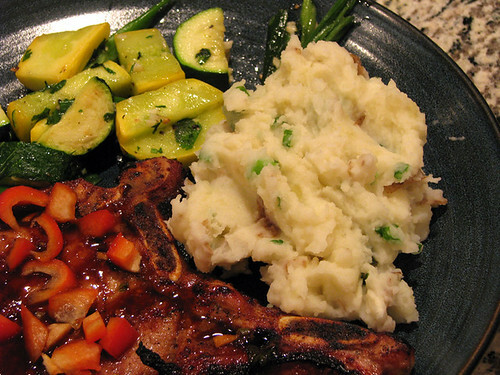 When the sauce becomes evenly smooth and creamy, whisk in the garlic. 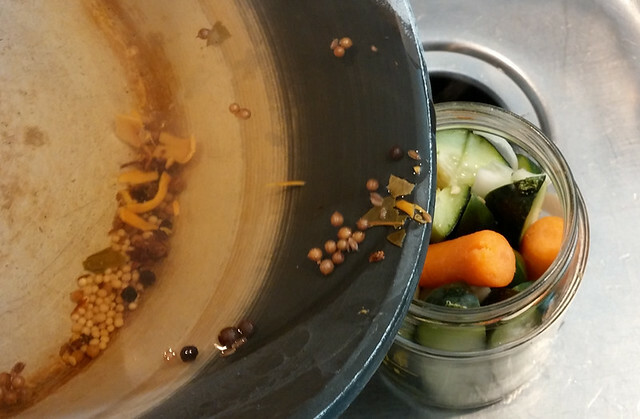 Add the sauce to the large mixing bowl with the other ingredients and mix everything together well. Stir the eggs into the mixture (It is at this point that we would suggest you stop your “taste-testing” of the raw but delicious mixture). Salt and pepper to taste. 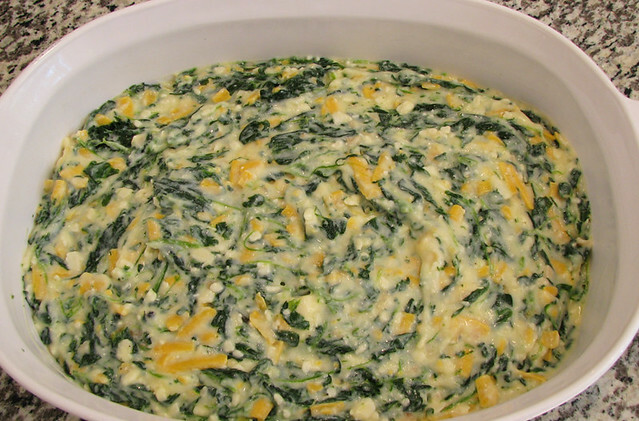 Place the entire mixture into a large, well buttered, baking dish. Place it, uncovered, into an oven preheated to 400° for about 45 minutes … until the top is slightly caramelized and the soufflé hardly moves when the baking dish is jiggled. As actual oven temperatures my vary, so will cooking times … just make sure it is cooked all the way through! When done, let the soufflé set up for 10 minutes before serving. Eat your heart out, Popeye! 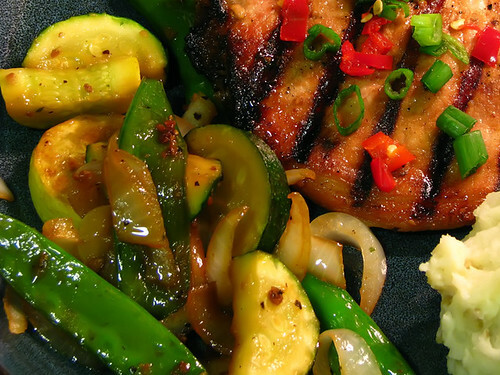 NOTE #2: It is plainly obvious that this is not a healthy dish. 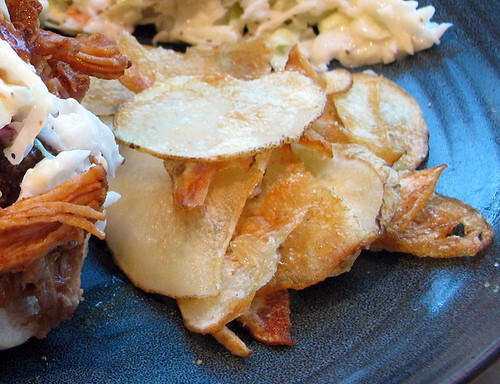 So, we try to cut out some of the fat by using non-fat milk and light sour cream. It works great, and there is plenty of other fat in there to more than make up the difference! Finally! A chance to share a recipe or two!! And, this one is yummy, yummy, in my tummy!!! 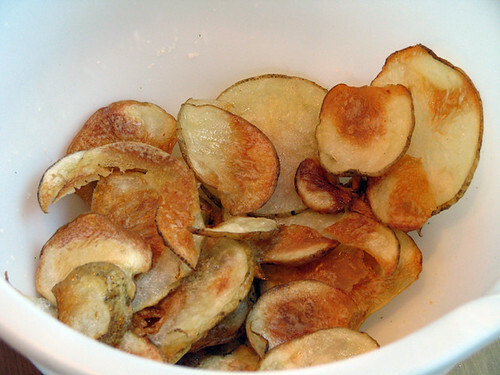 Nothing better than homemade potato chips … especially when they are made in a somewhat healthy way. Best of all, they are easy as can be to make. 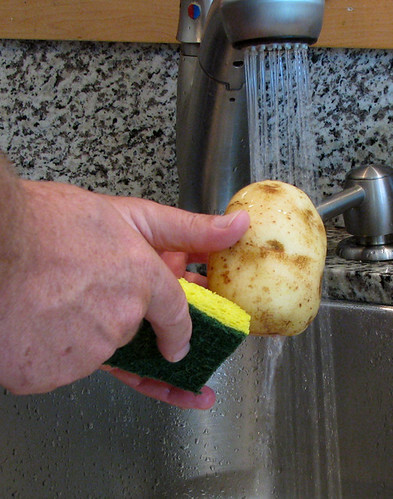 Scrub potatoes well and rinse with cool water. LEAVE THE SKIN ON! 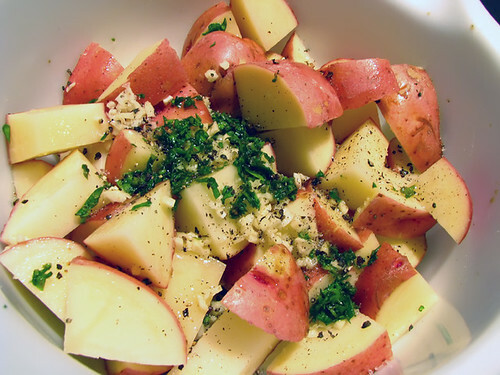 Cut potatoes in half, crosswise. 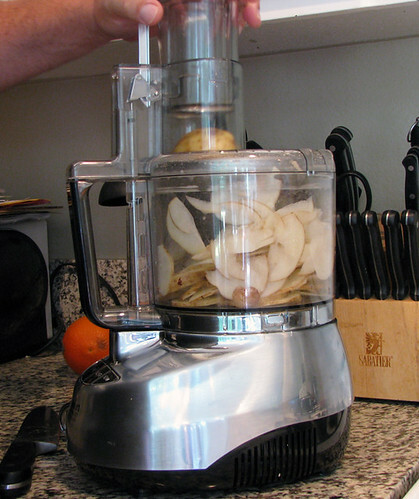 Slice thinly with food processor and slicing disk. 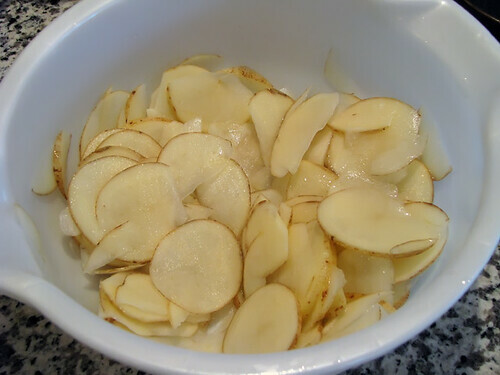 HINT #1: You can use a mandolin, or even a sharp knife, to carefully slice the chips as thinly as possible by hand. 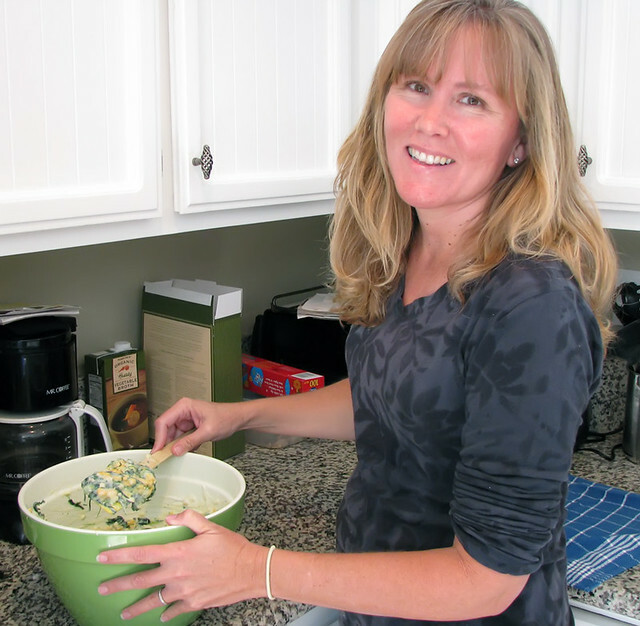 But, when someone like the Cave-in-laws give you a food processor for a gift, this is a great recipe to break it out for! Plus, it makes life a whole lot easier!! 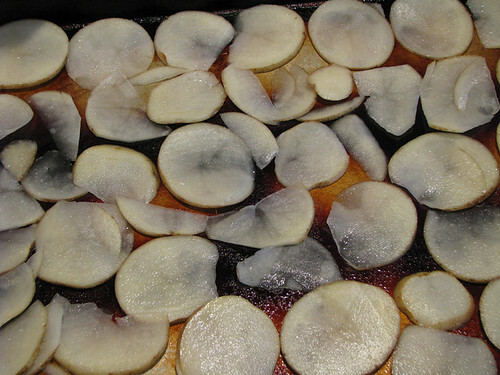 Be sure to put the flat cut side of the tater down into the processor for more uniform slices. 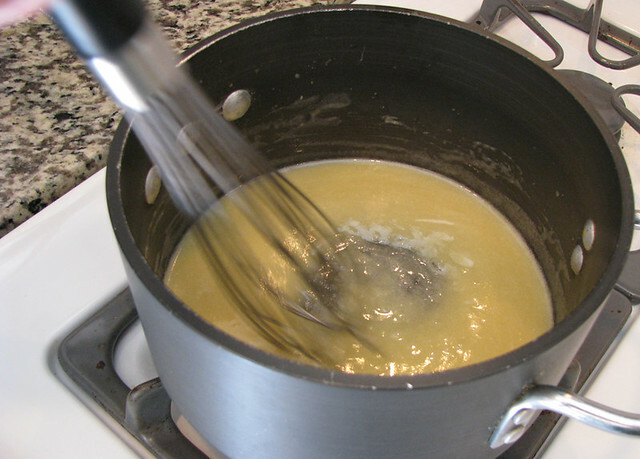 Place water and salt into a large bowl and whisk until salt is dissolved. Place potato slices into the saltwater and let sit for 20 minutes. Then, drain well in a colander. 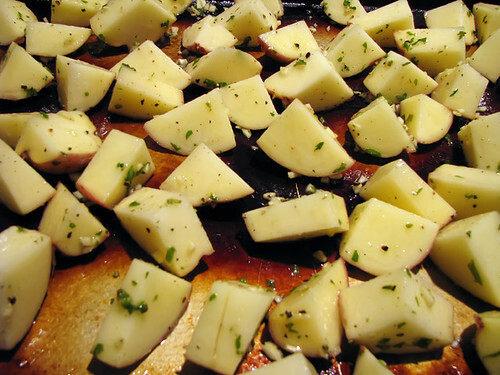 When potatoes are completely drained, place back into large bowl, add olive oil, and toss gently until all slices are evenly coated. Preheat oven to 450°. Lightly coat two cookie sheets with non-stick spray. 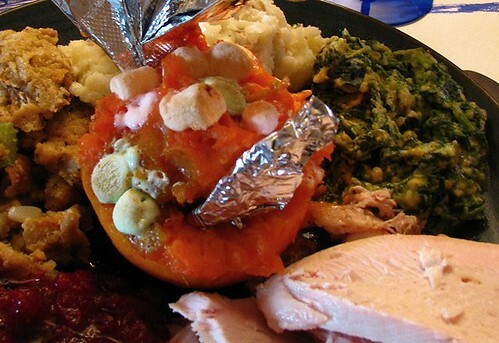 Arrange slices in a single layer on the cookie sheets. 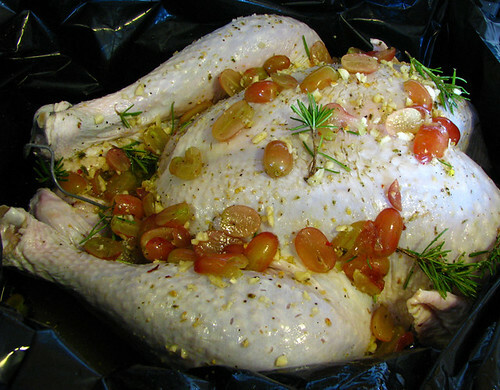 Place into oven for 12-15 minutes (depending on your oven and altitude). 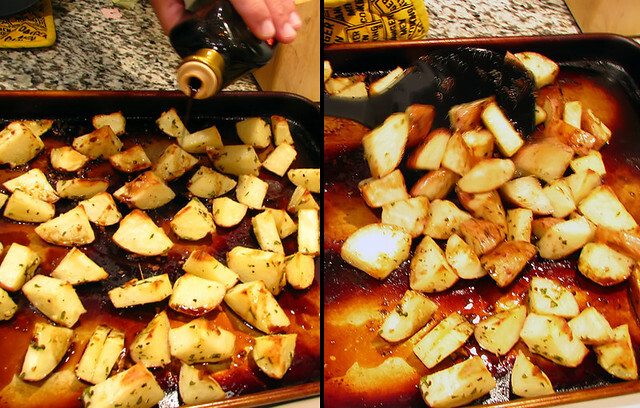 When chips are golden brown and crispy, remove from oven. 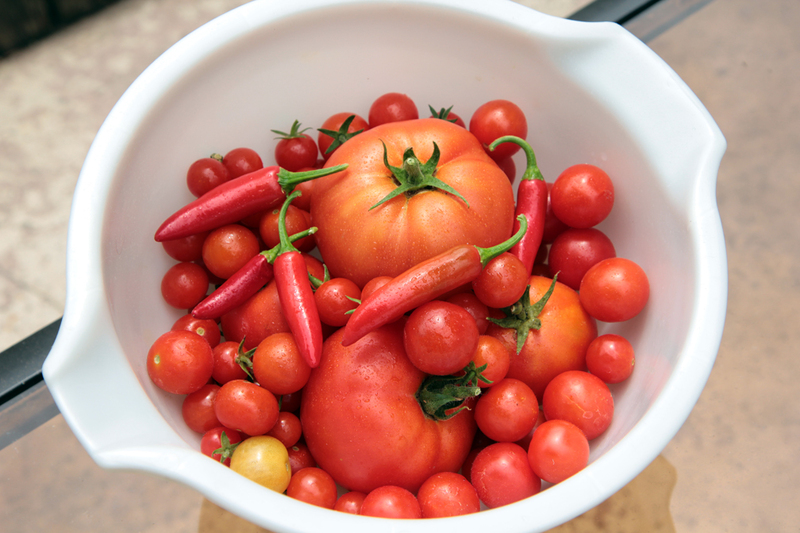 Immediately place into a bowl and lightly season to taste, toss gently. HINT #2: If chips haven’t cooked evenly, remove the browned ones and return the rest to the oven for another couple of minutes until done. 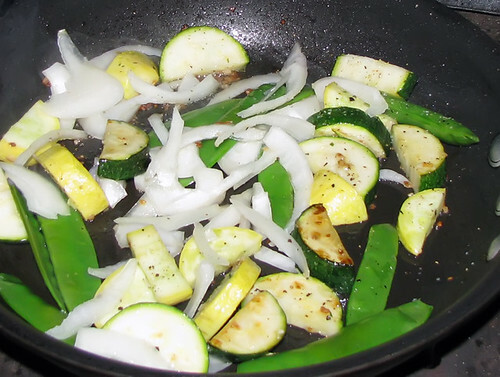 HINT #3: For these, I used Garlic Salt for seasoning. But, you are only limited by your imagination as to what you can use. Dried Italian Herbs, Onion Powder, Parmesan Cheese, Cayenne Pepper, even the cheese seasoning from a box of mac & cheese will work well on these. 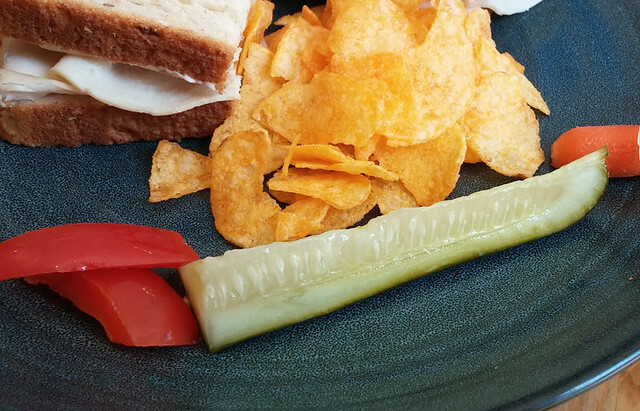 Serve as a side dish to your favorite sandwich, hamburger, hot dog, or just as a delicious snack. Enjoy! 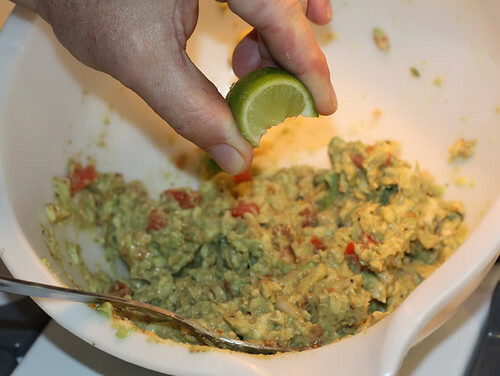 As promised in Freezer Food Fest #10, here is my recipe for some killer guacamole. It doesn’t hurt that I get some phenomenal homegrown avocados, courtesy of the Cave-in-laws! First, make sure you enlist the help of a good sous chef. 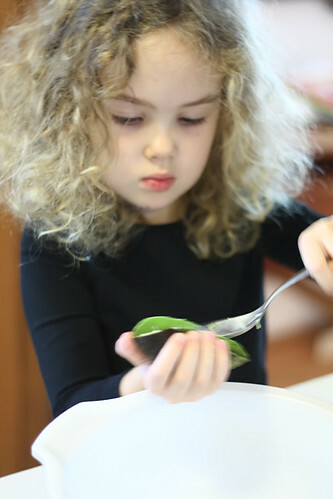 Not only do things go faster, it’s a lot more fun to cook with some one else … especially if it’s your kid! 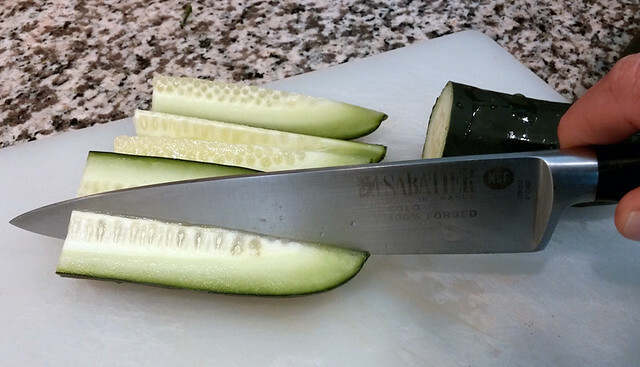 With a sharp knife, cut avocados in half, lengthwise. Score the avocado into 1/2 inch square sections, being careful not to cut through the skin. 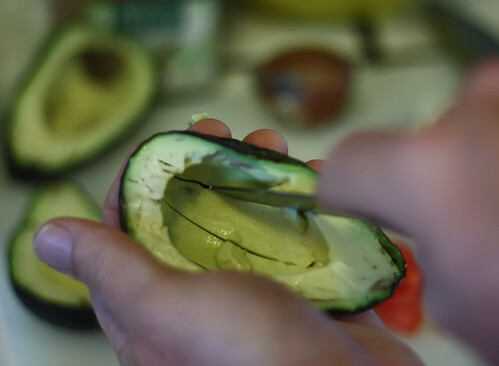 Then use a spoon to scoop out the flesh of the avo and place into a medium-large bowl. Chop tomato and cilantro, mince garlic and onion, and place into the bowl. 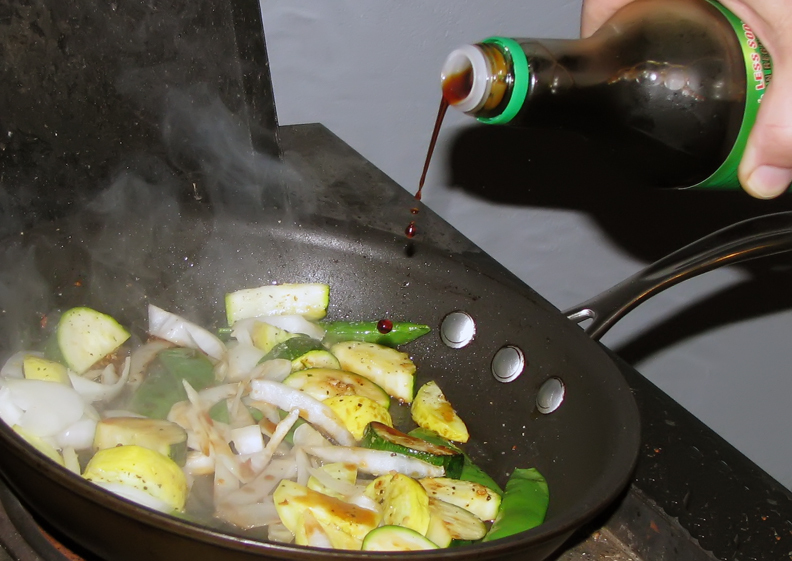 Add chili powder, Tapatio Sauce, salt, and pepper, as well. 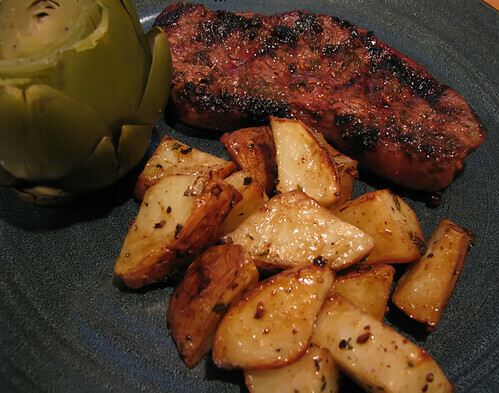 HINT #1: I like to use Garlic Salt instead of regular for this recipe. 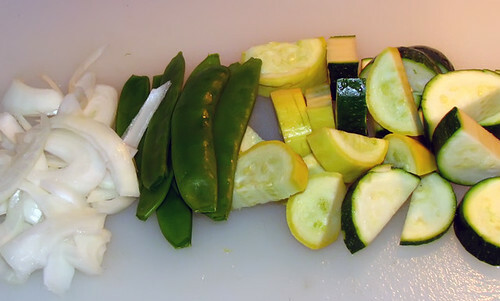 Take a fork and begin to mix all the ingredients well. 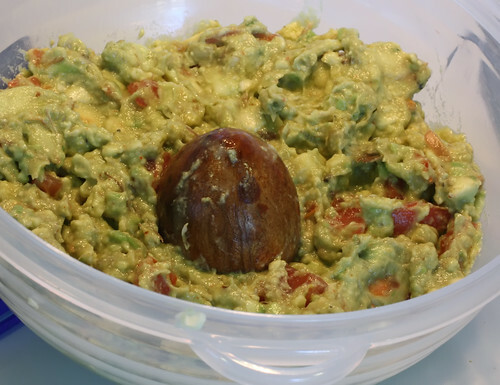 Continue until the avocado starts to smooth a bit, yet leaving some chunks, as well. Squeeze the juice from the lime section onto mixture and mix in well. 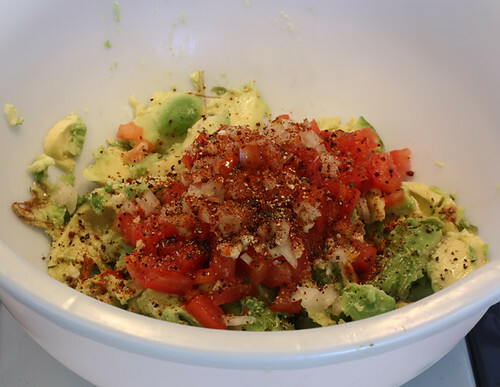 HINT #2: Reserve one avocado pit and place into center of completed and plated guacamole. It not only looks kind of cool, but it also helps it from turning color too soon. No one likes guac that isn’t green! 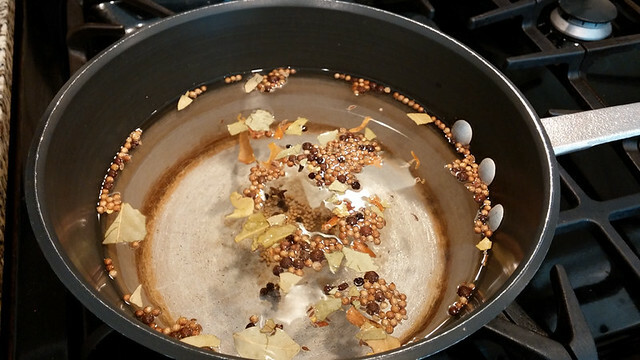 RECIPE UPDATE: Lately, I have taken to switching out the chili powder and Tapatio Sauce for a small jalapeño pepper (veined, seeded, and minced), and a 1/4 teaspoon of cayenne pepper. It really takes this already rockin’ recipe to the next level!